I get asked a lot about our efforts to live a more eco-lifestyle. Being on a budget it makes it surprisingly more difficult to live an eco0friedly lifestyle, post move and divorce, but I’m slowly finding eco alternatives for daily staples like soap and shampoo, dish soap and even coffee, here in WNC – which is luckily a very earth friendly, sustainably minded place! We are always trying to find ways to reduce our impact on the Earth with our consumption & every day habits, plus opting for ecofriendly alternatives to hobbies. For all of you who want to start making easy changes with your children, teaching them how to protect Mother Nature, but aren’t sure where to start, here is a list of ten ideas for some easy habits to eco things to do even on the tightest budget that are good for you, your bills, the Earth & your family. 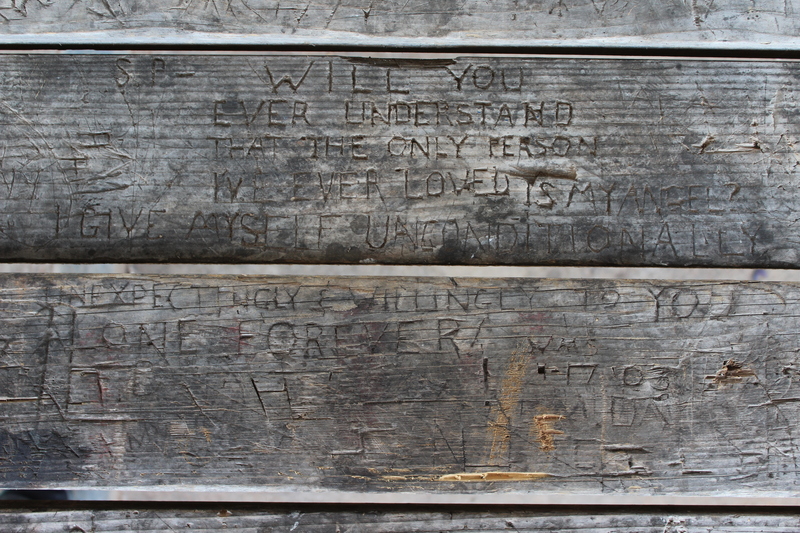 Some I’ve blogged about before, but they are worth reiterating here. Enjoy, and feel free to add your eco-life tips in the comments! Together we can be like a superhero team all saving the world together all at the same time, which would be pretty rad! 1. Grow a garden! Not only is it great family time together outside building beds, prepping pots, planting seedlings, weeding, picking and preparing, it teaches your children about earth sciences, compassion for nature & how fun mud and bugs are! I have a Pinterest board for gardening tips and ideas here, including lots of container planting for small spaces! No matter the space you have, you can save a lot of money growing your own food – even if it’s just a staple item in your house in a pot on your porch, like a few pepper plants or beans if you use them a lot. Pre-move, we had a vegetable garden each year with some staples like cucumbers, squash, zucchini, peppers, eggplant, tomatoes, beans, and peas. We also had blackberry bushes & blueberry bushes. Now that we rent and can’t totally invest in a full size garden, we have a small bed with cucumbers and green beans, and also volunteer at my mom’s house helping in her garden, which has potatoes, onions, peppers, corn, beans, tomatoes, cucumbers, squash, zucchini, grapes, blueberries & a few other staples. My sister in law also grows a huge garden, plus has pear & apple trees – come crops, we will all work together and swap food, meaning an entire fall & winter’s worth of stock piled dried fruits, canned apple sauce and vegetables, veggie soups, frozen veggies to add to dishes, jams, jellies and canned fruits – all just for the cost of weeding once a week! 2. Take a (biodegradable) trash bag and go for a hike through your local trails, a park or the woods to pick up litter so existing vegetation can thrive. Make sure to put on some bug spray & wear (reusable) rubber gloves! Use two bags – one for trash, for one recyclables, and use this unplugged family time to teach your children about the importance of recycling & protecting water ways and natural habitats. 3. Shop from thrift stores & consignment shops whenever possible – not only do you save loads of money but you also prevent air pollution, energy use & landfill waste from the creation of new products when you purchase gently used items. It also keeps money directly in your community instead of funding international trade for cheap clothing & home goods, which creates a ton of emissions and consumes lots of fuel. 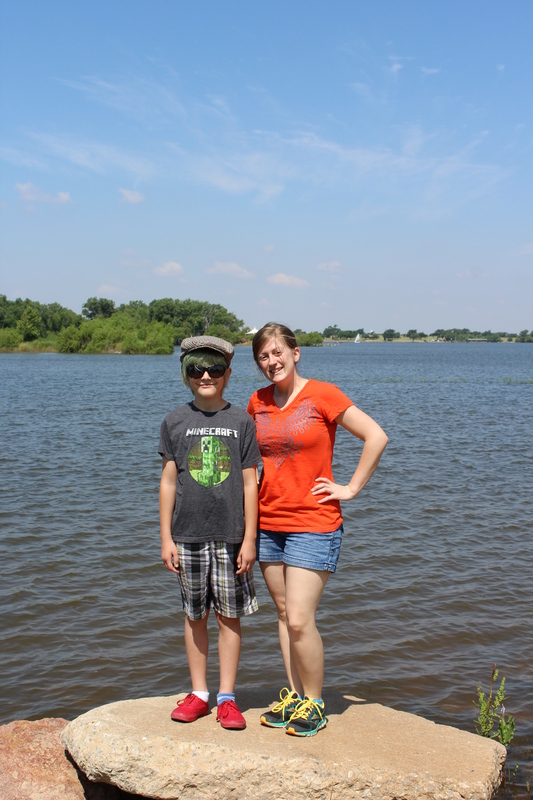 By shopping locally at community thrift stores you are directly supporting people who live in your city while having an positive impact on the environment, while saving a boat load of money. Doesn’t that make you feel all warm & fuzzy inside?! 4. If possible, let your kid ride the bus to and from school rather than driving them. This reduces a ton of exhaust pollution from the commute and idling in the pick up and drop off lane. If you can, arrange to have them carpool to after-school activities with friends or volunteer to be the carpool driver! If you live close enough to school, the park, a store, or any place you frequent, walk or ride your bikes whenever possible for some unplugged, active family fun! 5. Reduce the electricity you use & encourage your kids to do the same! Turn off your heat/air and open the windows on days when the temperature allows. Open the curtains rather than turning on lights. Unplug things that are not in use – this alone can account for up to 40% of your electric consumption! Turn off your computer & unplug it when you aren’t using it. Instead of drying bedding in the dryer, line-dry laundry, especially heavy linens. This will greatly reduce energy consumption plus give your linens that sunshine fresh scent. 6. My first option is to buy products with little to no packaging. Beyond that: Recycle or reuse whenever possible – paper, plastic, glass bottles, cardboard, and aluminum cans. This conserves energy and reduces air pollution & electricity consumption from production. Before you recycle something, make sure you can’t reuse it first. Don’t spend money on mason jars when glass jars from pasta sauces & pickles are perfect for drinking glasses at parties or simple vases, pen holders or containers in the bathroom to hold cotton balls, tooth brushes & other items. Hit up Pinterest for tons of great idea for upcycling & repurposing items. If you can’t reuse something, see if you can compost it. Most paper & cardboard (even toilet paper & paper towel rolls) can be composted. Even paper towels that have been used to clean up water can be composted! 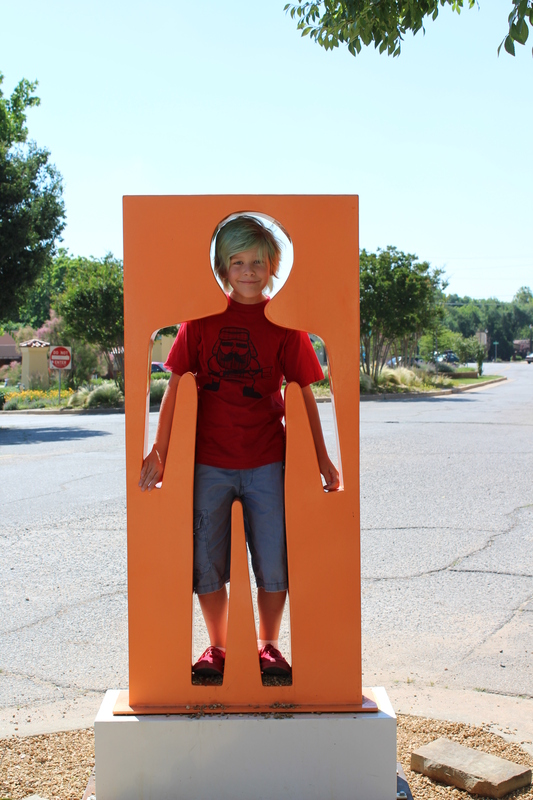 Jenelle of TN2T has several awesome boards on Pinterest for upcycling & creatively recycling items. 7. Also, on composting… Did you know that 20% of human produced methane that damages the ozone layer comes from food in landfills? This shocking number is hard evidence of why every home should compost! All raw vegetable & fruit waste can be composted, along with coffee grounds, grass clippings & leaves that typically end up on the curb for trash pick up. So skip the “all-natural” plant food and go for the truly all natural plant food. Leaves can be used as mulch around your garden & plants year round, too, providing nature-intended nutrients for plants that eliminates the need for chemically saturated fertilizers, so it’s a double whammy of Earth saving goodness and saves you money because then you don’t have to buy mulch! Yay! There are so many good resources for composting out there. It’s so easy to get started, it greatly reduces landfill waste & has a huge impact on the environment. Give it a Google & see how you can get started! Kids will have fun watching the process of foods decompose & learning how bugs, worms and mold help break down the organic matter. 8. Purge. Make it fun and reward the kids with one new item or special event (like a trip to the movies) for purging unused toys, clothes, games. Get rid of (donate, sell or give to a friend) anything you absolutely don’t need or use. Since we are living in very tight quarters, I purged more than half of mine and my son’s clothes & all but a few linens – now everything has a purpose, plus less laundry to do means less water and electricity used! Fewer toys in my son’s room means more space to play with things he kept, like Legos and Nerf guns. 9. Use all-natural cleaners – Apple cider vinegar is an amazingly versatile cleaner and at less than $3 a gallon, is a super cheap alternative to expensive, chemical laden laundry soaps, floor cleaners, surface wipes and more. We use it for laundry and our floors! Stop using dryer sheets full of harmful chemicals – Nerd Felt makes reusable dryer balls that soften your laundry for hundreds of loads. Infuse them with essential oils to add a lovely scent to your laundry! 10. 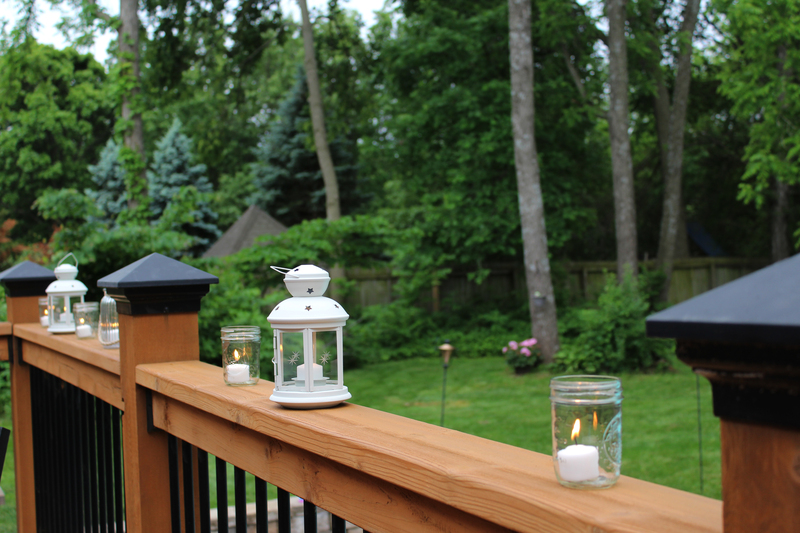 Build a backyard haven. A small investment up front for major savings and fun in the long run! Get a trampoline, swing set, pool, whatever tickles your pickles and fits your budget. Don’t forget to check FreeCycle and CraigsList for items before heading to the big box stores! Build a fire pit and pull up seating for relaxing evening fun. Spring through Autumn (or even in the winter, snuggled under blankets with cocoa while it snows around you!). Create a space that’s just as fun as the local park, and invite friends over! You’ll save a ton of money not going out, your kids will want to spend more time outside, and it’s about time we return to a life of having neighbors over for coffee on the porch or beers by the fire. Building a home filled with functional spaces you love & inviting others to enjoy it with you is a great way to build community, foster friendships and have free, ecofriendly fun! These are just a few of the ways I try to live a more sustainable, ecofriendly lifestyle while on a super tight budget. Do you have any eco-budgeting tips for home life, activities, or shopping? Please share them in the comments! Hey guys. It’s been a hot minute since I’ve paid attention to my blog. Life has been consuming me lately, and honestly this just sort of got shoved to the back burner. True to my “one little word” for 2016, I’ve been “Grind-ing” away. Not just in the studio making lots and lots of monsters (sitting at monster #238 of my 500 monsters in 2016 goal, so just slightly behind on my yearly goal) but also in life. Since my divorce & moving half way across the country in November, some time to reflect, absorb and find myself was expected. I didn’t expect it to be so rough though – or to run into one financial crisis after another, either. Ugh. But like I said, true to my word of the year, I’ve been grinding. Grinding away each day, chipping away at the rough bits, breaking a little by little so that in the end, everything is smooth & soft. The first quarter of the year, when I was home sharing with my brother and sister in law who were gracious enough to open their home to me, I was pretty disappointed in myself, I won’t even lie. I went from home ownership and stability to a tiny bedroom shared with my son and dog. I ended up staying months longer than anticipated – and when I finally did move out into my own cute (but tiny, so tiny) home, I was hit with unexpected fees and deposits and ended up seriously strapped financially and no amount of hustle in the studio was equating to the amount of money I needed to make ends meet. So the first half of this year was spent really getting to know myself, what this new life demands from me, how tough and dedicated I am, how much I value my independence and ability to provide for myself. After lots of self-pep talks, getting a room mate (which made our tiny house even more tiny but we’re making it work! ), snagging some baby sitting jobs & lining up some clear goals and action plans for my little monster biz, I’m finally regaining my confidence and really appreciating how difficult it’s been to re-acclimate to life in WNC. I learned a lot about myself the past several months, and I am still so excited about all the amazing changes this year has had in store for me – even if the majority of them so far haven’t been easy, comfortable or even remotely anticipated. All that aside though? This year is truly shaping up to exactly what I needed from it – rough discovery and soul exploration. Pushing me to my limits, breaking all the rough edges off and revealing the beauty beneath. And while May was a hugely disappointing month sales wise for me, I know without a doubt June will be the best month yet this year! #optimistprime Mostly because I have tons of shows lined up (East West Market and West Asheville Art Walk in June, Big Crafty in July!) 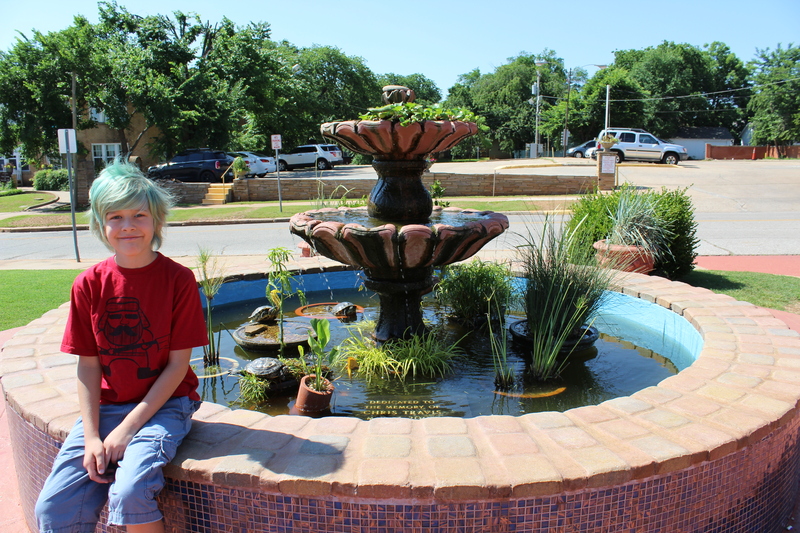 that will be helping me to get established as a maker here and spread the word about Lu & Ed, while also helping me make some awesome connections and get re-familiarized with the area again! 🙂 So if you are local, mark your calendars and come say hi – I’d love to meet you! So yeah. That’s my mini update about my radio silence here on the blog and what’s been going on, as well as what I have coming up. I hope to get back to regular posting this month, I have tons of drafts saved on lots of businessy topics, but I also have some cool gift guides I’m working on and other goodness for the blog – stay tuned! Today’s Maker Made Monday feature is Lee Wolfe Pottery – who I also discovered from the #madeinasheville hashtag on Instagram! Can I just get a collective “WOW!” for these awesome poppy platters & bowls? Once I get my own place again, I’m totally saving up for a set of these! Every piece she makes is just gorgeous, from the organic, hand crafted shapes to the vibrant, food safe glazes & even the styling of her images is just breathtakingly lovely! If you want to see more of Lee Wolfe’ wondrous work, visit her shop, Instagram or Facebook page. What maker are you currently loving? Share their shop in the comments & they may just be featured next week! 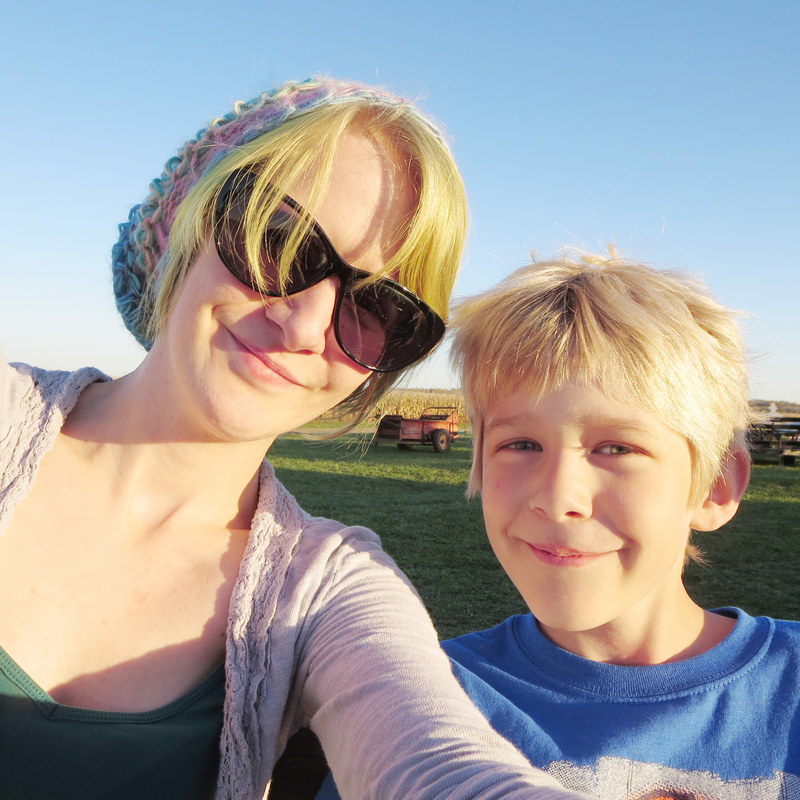 I’m in a weird transitional period after the divorce, moving halfway across the country & adjusting to living in less than 200sf with my son – and so now, more than ever, I need to cling to all the things that I am grateful for & remind myself of them daily (hourly, sometimes every five minutes, even). I’ve struggled with depression, agoraphobia and anxiety for years, and my schedule/living habits/environment changing over the past two weeks has certainly shaken me up a bit. I won’t even sugarcoat it – I’m struggling to adjust & I can feel myself slipping into a depressive, anxious mood. It is nothing that time won’t heal, but with my 30th birthday just days away & today being Thanksgiving and all, I decided to make a list of thirty things I’m thankful for – because I’ve always felt recounting all the goodness in my life helps me push away the heaviness that settles like a blanket over my brain uninvited sometimes, and despite the anxiety from adjusting to a new living situation, I am very, very happy to be home! Happier than I have been in such a long time. Most importantly, and I tell myself this every day: I am thankful to be alive. I am thankful to have today, and all the days before today. I have no regrets, and I am so grateful to have woken up with air in my lungs, dreams in my mind & stars in my eyes. I’m so very, very thankful to finally be home with my family. I’m especially thankful that I can be here for my parents golden years & help get my ma into a more comfortable living arrangement. I am so very thankful to my brother & his wife for opening their home to me during this weird period of my life. I’m thankful for having a warm, cozy, colorful space to live. I’m thankful to have food to eat & clean water to drink. I’m thankful to be able to bathe regularly. I’m thankful to be fortunate enough to have warm clothes to wear. I’m thankful my family supports me pursuing my passion. I am thankful for my sweet sister-in-law Leslie, who is always willing to listen to me pour my heart out. I’m thankful Leslie knows how to cook, because I sure don’t. I am so thankful that my son is enjoying this new living arrangement & is adjusting well to our new life. I am thankful my dog gets along with my brother’s dog, or this whole shared home situation would be a lot more chaotic. I’m thankful to finally be present to help out with all my nieces and nephews every day. I’m thankful my siblings don’t mind me using my nieces and nephews as product models. I’m thankful my son loves to learn & discuss big ideas. 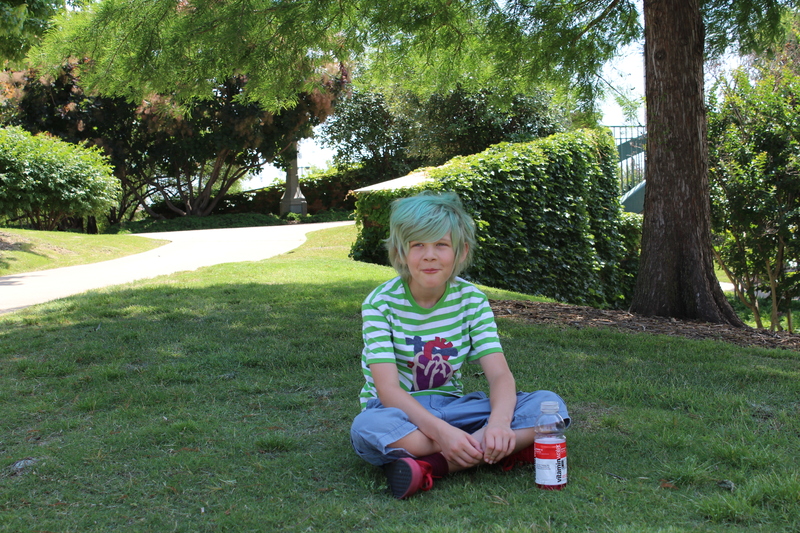 I am thankful that my is enjoying his new school & he has made friends very quickly. I’m thankful for the opportunity to volunteer at his school & share my love of art with children. I am thankful to be surrounded by the natural beauty & breathtaking splendor of the Smokey Mountains every day. I am thankful for technology & the ability to communicate with my creative community & friends no matter where I live. I’m thankful I am able work from home. Because driving in the mountains in the winter is not for the faint of heart. Or minivan owners. But mostly because I don’t like changing out of my PJs. I am thankful I have a reliable vehicle that gets me where I need to go (& almost fits all my nieces & nephews for family outings. Seriously. I have a lot of them.). I am thankful for all the people who have reached out to me during this time, whether just to say hi or to offer words of encouragement. I am thankful for friends who make an effort to stay in touch, even when their life is wildly chaotic, because they know when I’m in a schlump I shut myself away from the rest of the world and become an anti-social slug. I’m thankful for wifi, because without I couldn’t communicate with anyone since my cell phone doesn’t get reception out here in the boonies. I’m thankful for my good health, my son’s good health and the general good health of my entire extended family at this moment. I am thankful that my divorce was amicable & we were able to part ways without drama. Trace is a great guy & I’m glad I can still call him my friend. I am thankful my baby daddy & I were able to reunite amicably, become friends again, and that my son adores him & welcomes him so willingly into his life. I am thankful that I have as much time as I need to get my crap together. I’m thankful for each and every person who has ever supported my business, or talked about my business, or even just said “Hey, I like what you’re doing!” All of those guys are what fuels my creativity and keeps me going. I love you guys. 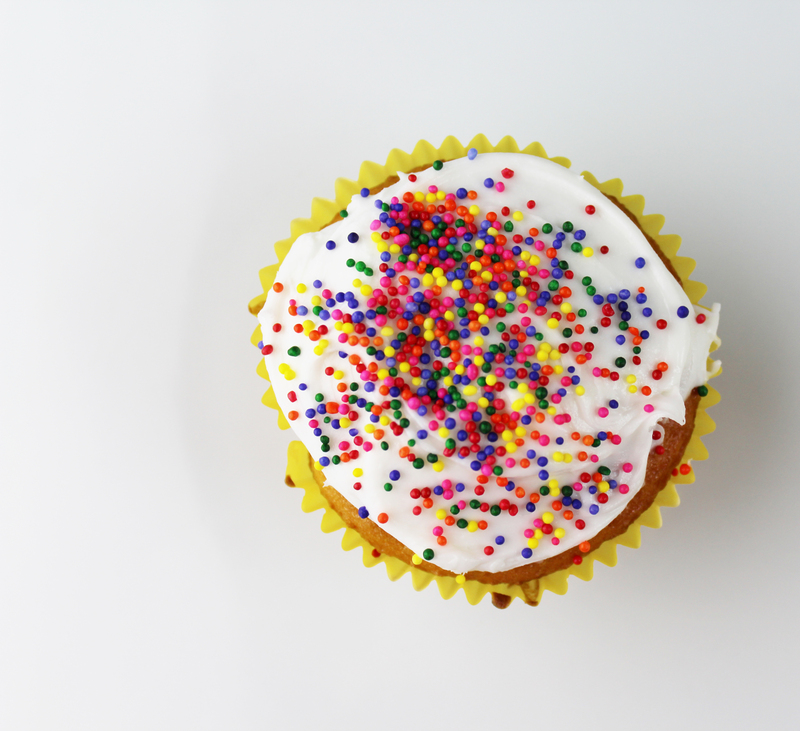 Here’s to a day of grateful hearts & thankful minds, but more so, here’s to living an intentional life of gratitude. Happy Thanksgiving, friends. Happy Monday, friends! We just got home from Oklahoma yesterday evening. It feels so good to return home after an adventure! The past five days have been absolutely wonderful, filling my soul up with goodness & recharging my creativity. I feel so inspired & motivated, it’s almost like an electrical pulse pulling me towards my studio to make all the Mon-stors! But first! 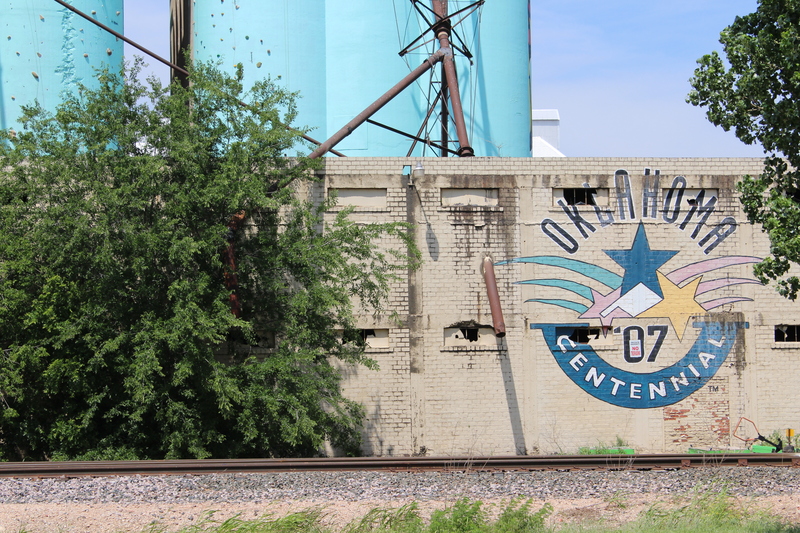 I wanted to share from photos from our adventures in Oklahoma City. I loved it. It was so colorful & full of personality. We were there visiting my bestie Jessica, who moved away to Texas a few years ago. 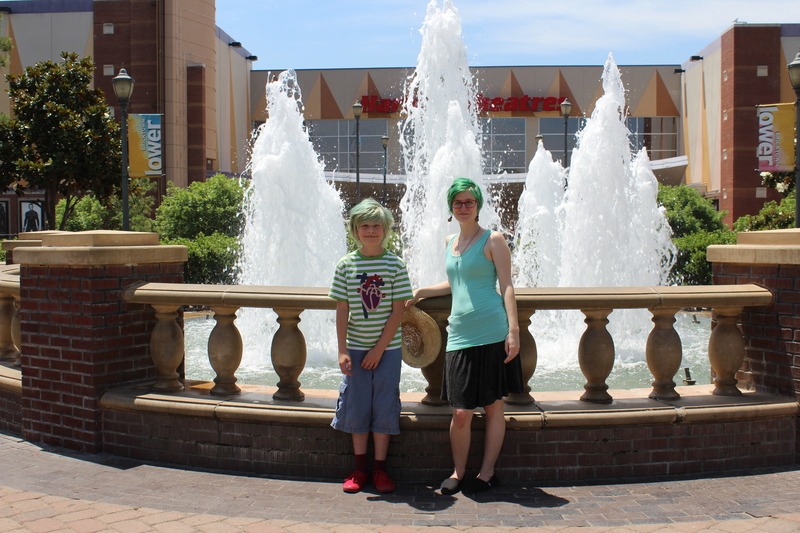 Now that they have relocated to Oklahoma City, it’s just a five hour drive & we plan to visit frequently! 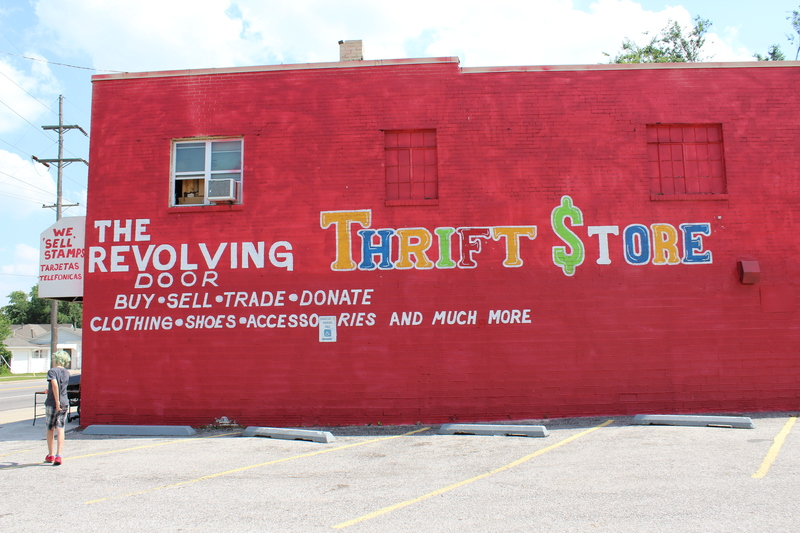 This thrift store was amazing! 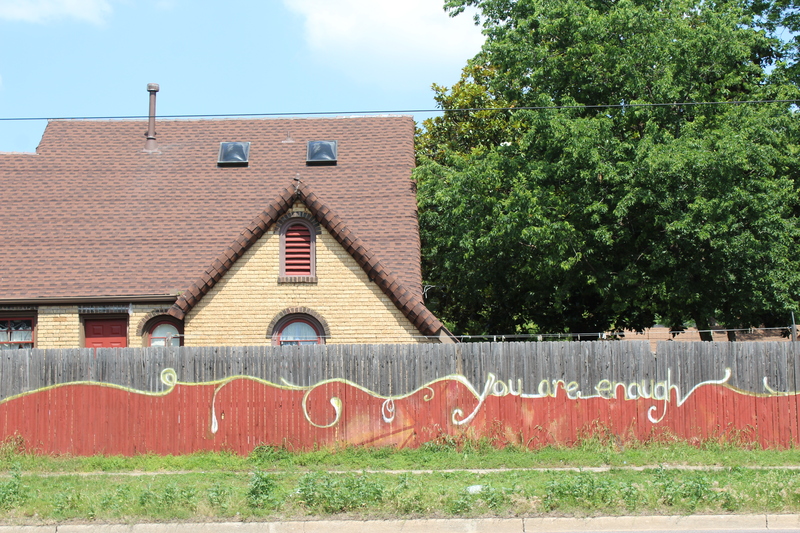 Seen at Lake Hefner. Young Love! 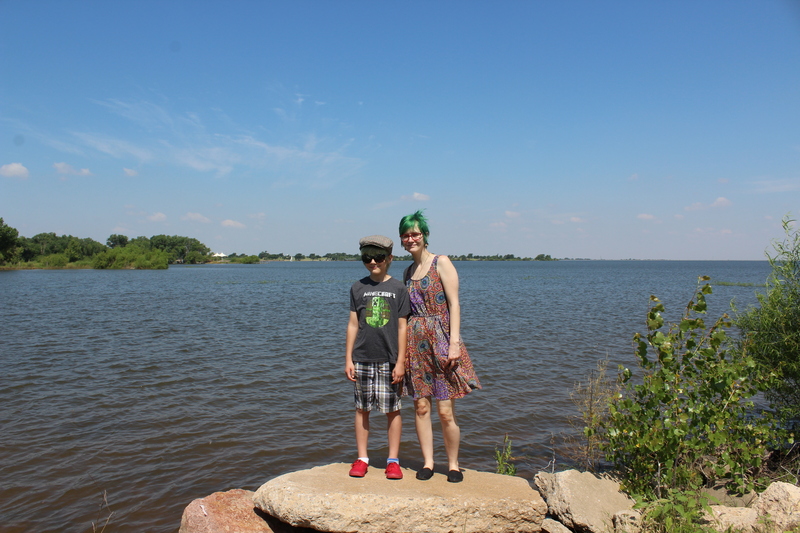 Visiting Lake Hefner with my bestie Jessica! 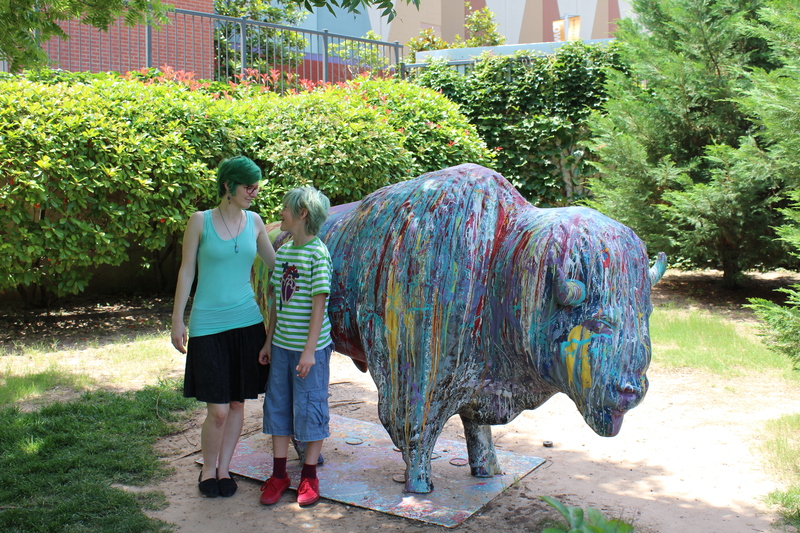 This buffalo is in Bricktown district of OKC. G bumped into it and almost knocked it over! Acting like proper tourists & getting photos at all the cool things. 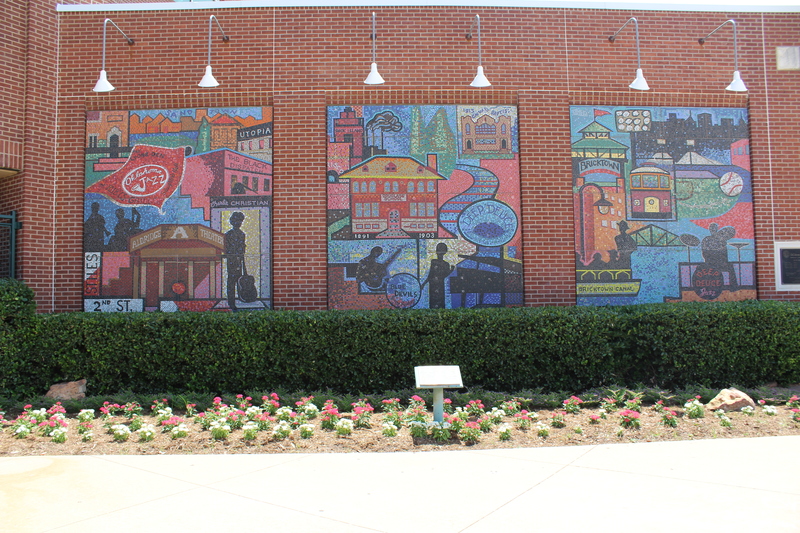 Mosaics on the baseball stadium walls in Bricktown district of OKC. This boy got tired of walking. 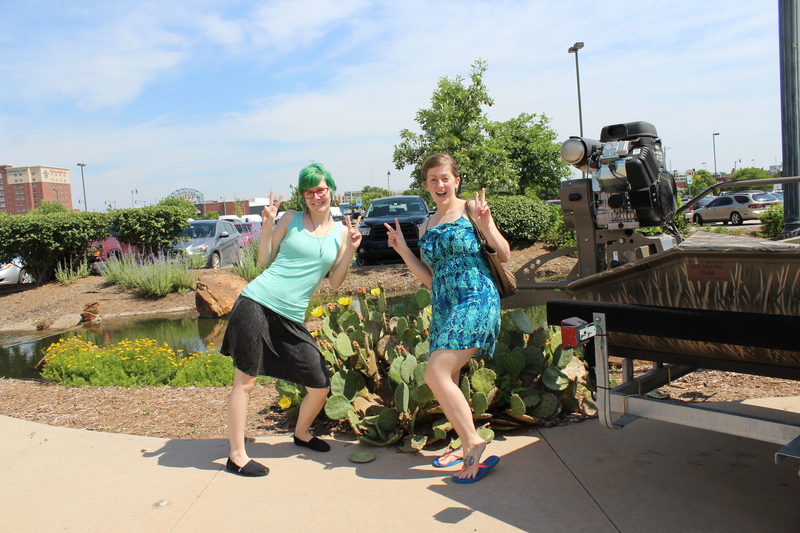 Acting like a tourist in front of a cactus at the Bass Pro Shop. Haha! 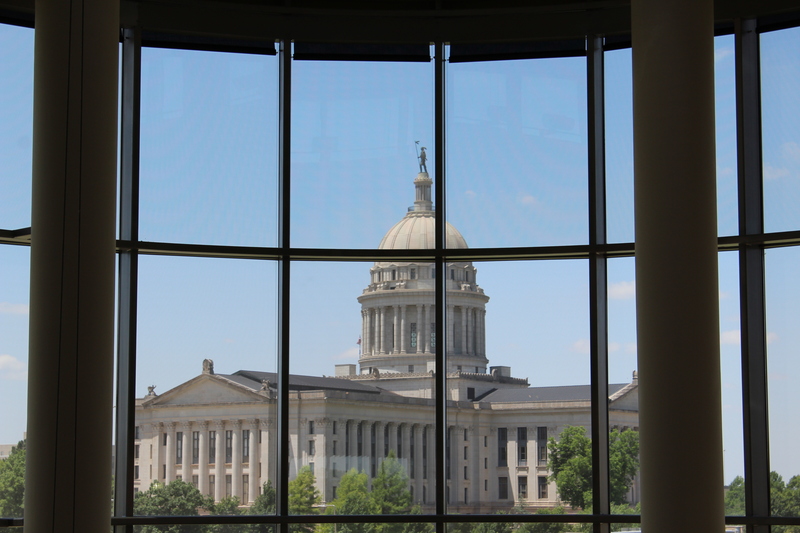 View of the state building as seen from the OKC Museum. 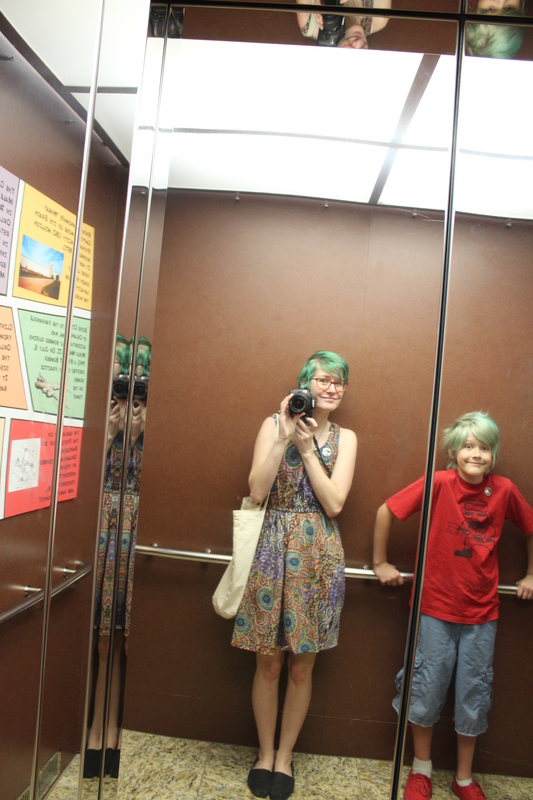 When in a mirrored elevator, take selfies. 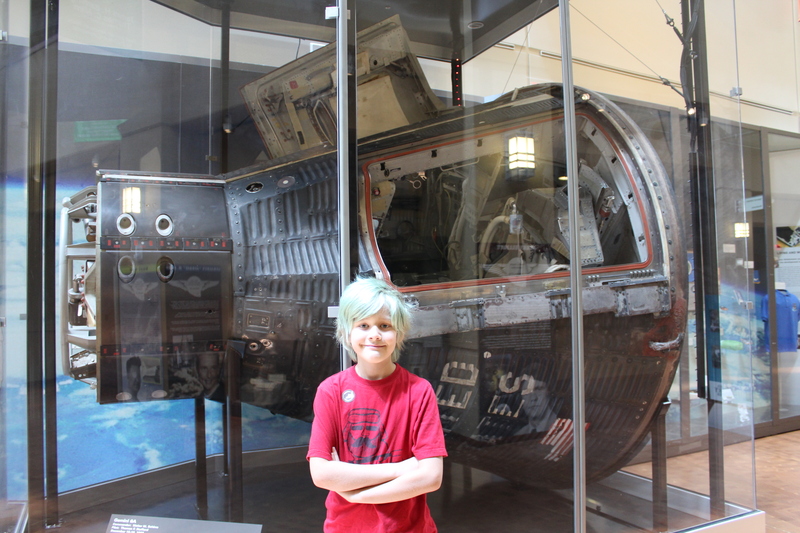 Standing beside a real life space shuttle that spent 14 days in outer space! 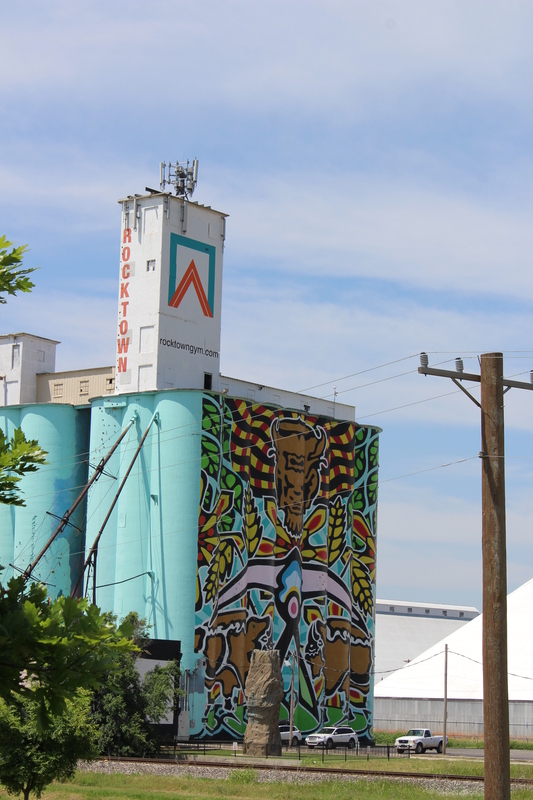 Colorful galleries in the arts district. Fun sculpture in the art district. 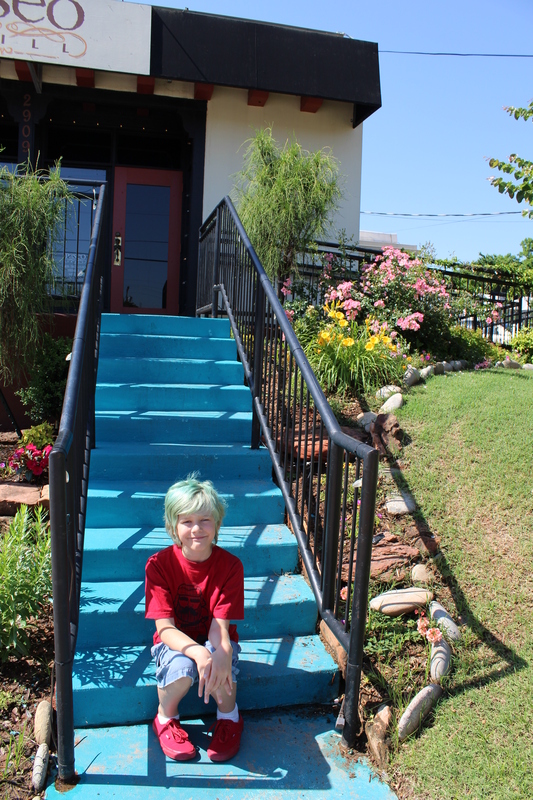 Blue stairs! 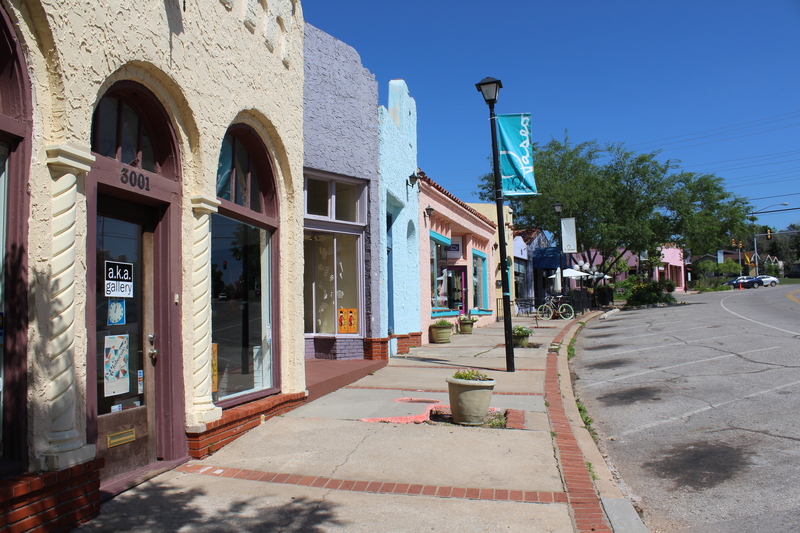 I loved how colorful everything was in the Paseo. Turtles in a fountain. Broke my heart. We almost rescued them but I didn’t know where the nearest pond was. I have housework to tend to then I am going to go on a wild monster making marathon in the studio! Happy Monday! Have a great week! We had a wildly busy weekend, full of community & goodness! Saturday I hosted a Maker Meet & craft date at my house. Local makers I admire gathered & we shared trade secrets, stories & advice. It was a small but sweet get-together. Brie from Life’s Gems, her sister Tatha from Stitched in Love & Vann from It’s Vann came. 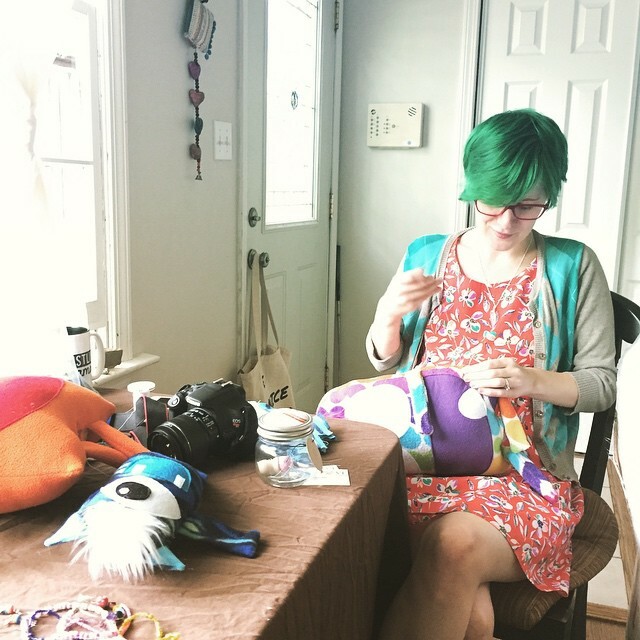 Me sewing monsters shut – photo by Vann! Vann from It’s Vann crafting away on packaging! 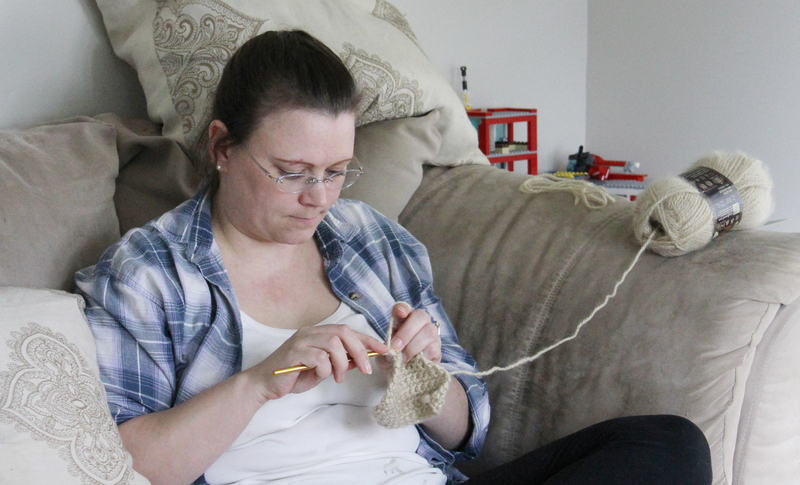 Tatha from Stitched in Love working on a newborn photo prop. Right after the Maker Meet ended I freshened up & dashed out the door to help prepare for my sister in law’s high school graduation party. It all came together beautifully & was so dreamy, an elegant garden party on the patio with storm clouds rolling in. The rain held off for most of the party, but eventually it brought the event inside. Still a totally magical evening! 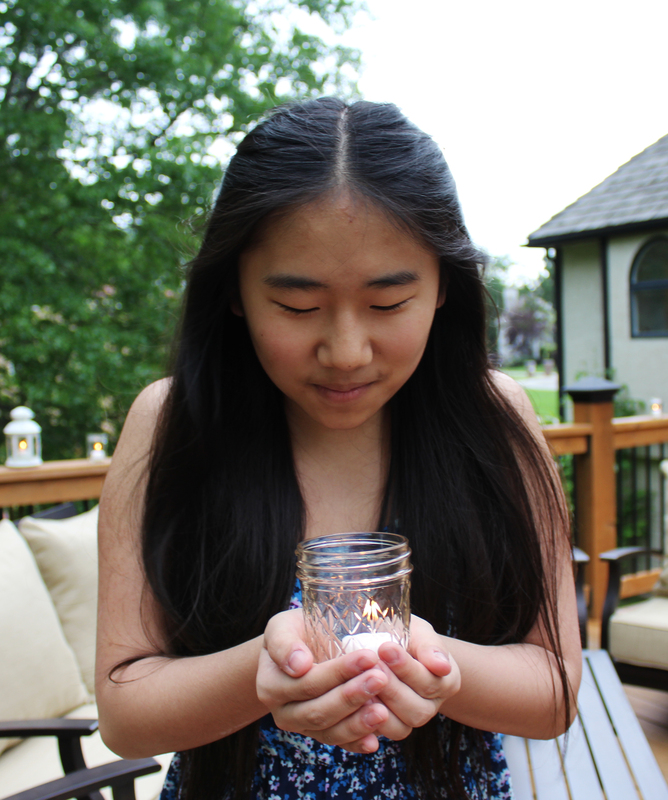 My sister in law Jenna helping light the candles. The graduate herself, Julia, looking absolutely beautiful! A peek into the dreaminess of the evening. Sunday was a lazier day, but after I woke up from sleeping late (8am, can you believe it?!) I dove right into monster making! 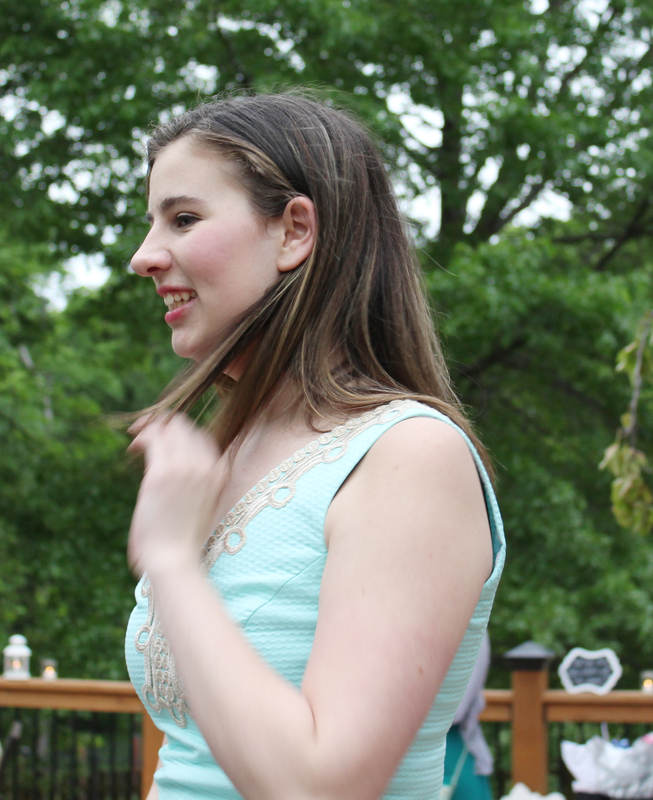 Julia’s actual graduation was today, but I’m still struggling with anxiety brought on by sitting in large crowds, so I opted to stay home & sew. Since our pup, Pip, got hit by a car last Saturday, I didn’t finish all the monsters for last week’s stocking, so at least I got lots of extra work in yesterday, right? 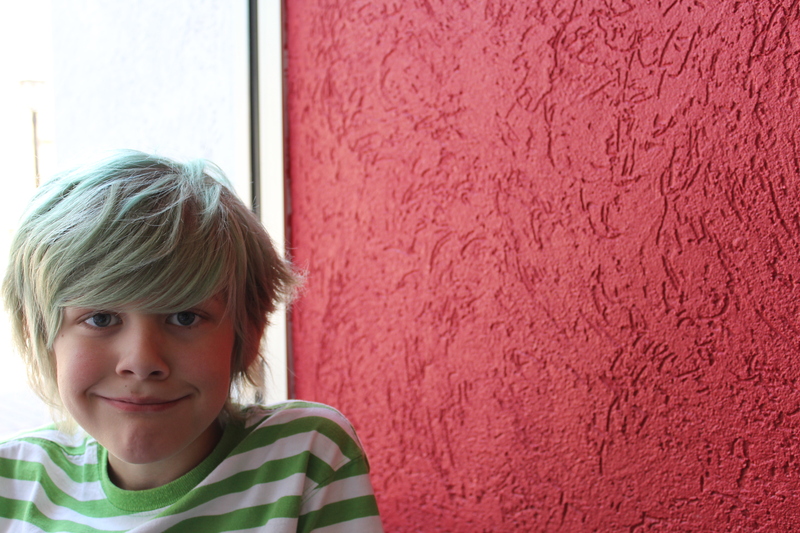 I’m working through that pile of half finished cuteness this week (can’t wait to share them with you guys!) so it will up in my next stocking, which will be sometime before the end of the month. To make sure you don’t miss out, sign up for email notifications of new items! I send it out before I promote new listings on social media. 🙂 All the lightheartedness aside, later today we will be going to the nearby memorial of fallen soldiers from our town to pay our respects & leave flowers. My father is a Vietnam vet & so I’ve never viewed today as a reason to celebrate, have a cook out or go shopping. It’s always been a heavy heart kind of day, thinking about how some very brave soldiers literally gave their all for our country & how much respect we owe them, so we can be free to do things like have craft dates & graduation parties & work from home as a monster makers, even. I’m so thankful for my freedoms, grateful for & proud of all who serve or have served. ♥ And on that note, I’m signing off to cram in some more sewing before we head out to buy some flowers. Happy Monday, friends! One of our yearly Autumn traditions is a trip to the pumpkin patch with friends. 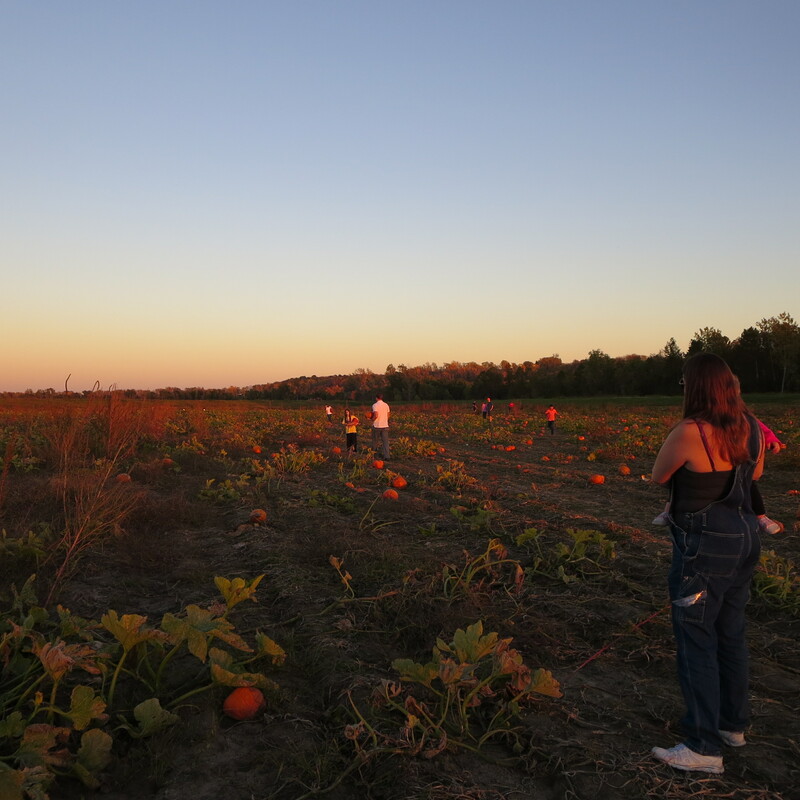 This year, we tried out a new pumpkin patch – Carolyn’s Country Cousins. 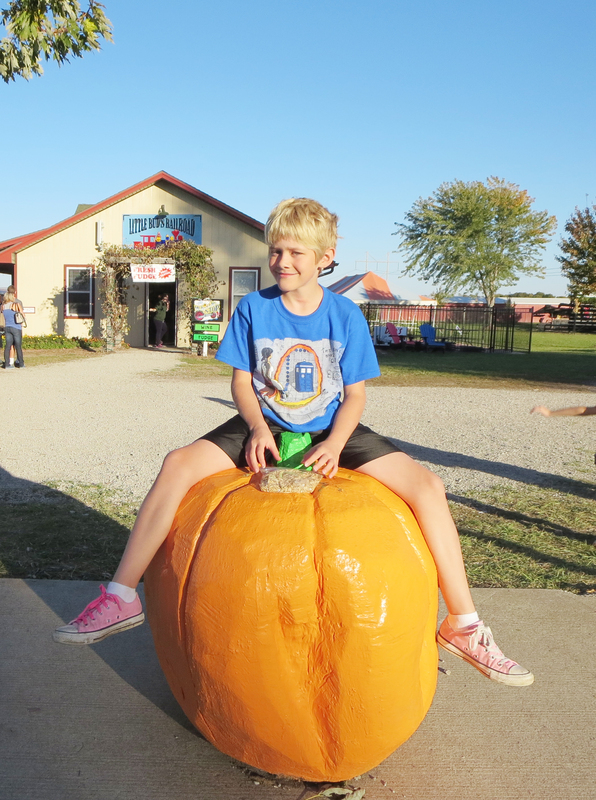 It is closer to home than the pumpkin patch we went to in previous years & had a lot more for the kiddos to do so my son enjoyed it a lot more! 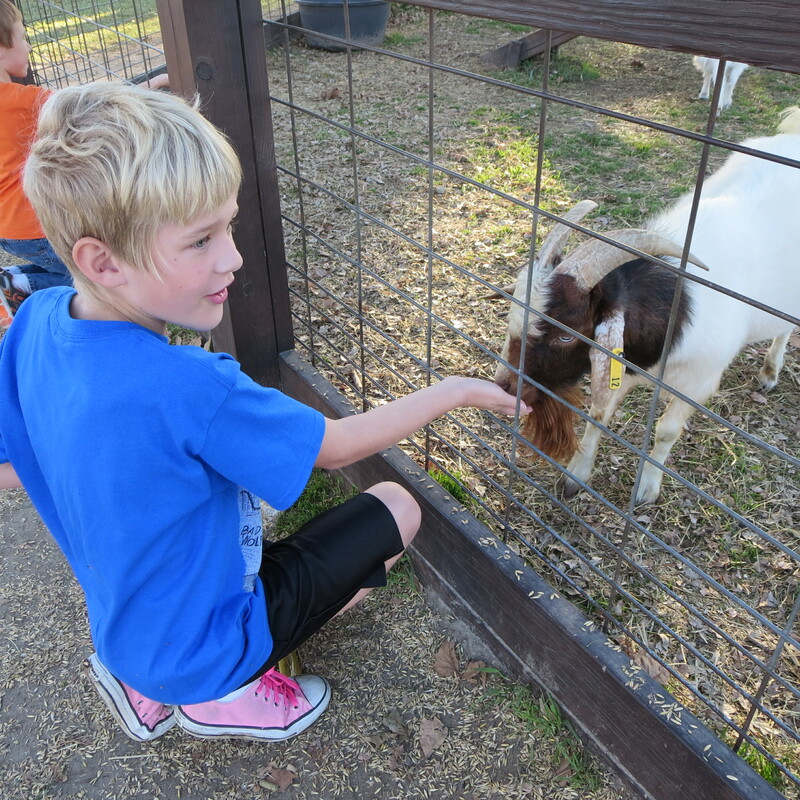 There was goats, chickens, and ducks to feed, a huge playground area, tons of play structures, a corn maze and more. What is your favorite fall tradition?